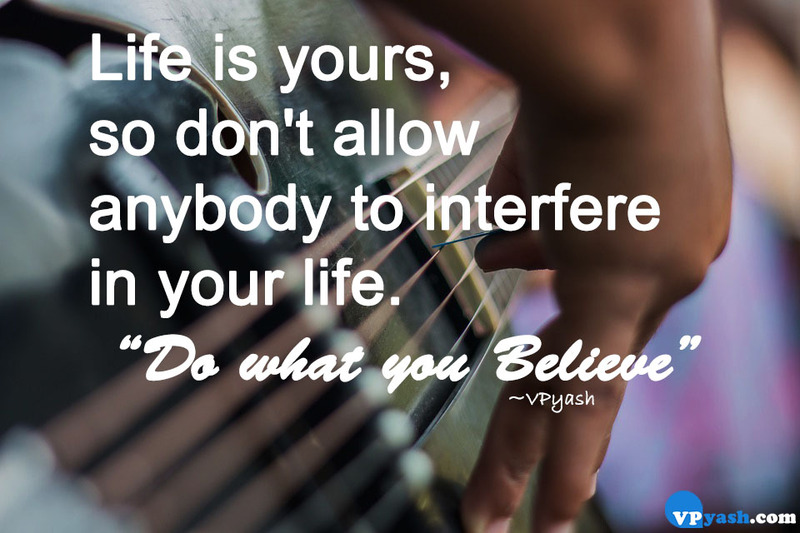 Home Life quotes Motivational quotes vpyash Don't allow anybody to interfere in your Life. Don't allow anybody to interfere in your Life. Life is yours, so don't allow anybody to interfere in your life.
" Do what you Believe".